Have you ever been faced with the challenge of giving a good teacher gift? As a high school teacher I generally get a lot of food. Two of my children are of the age where they love personalized gifts for their teachers. 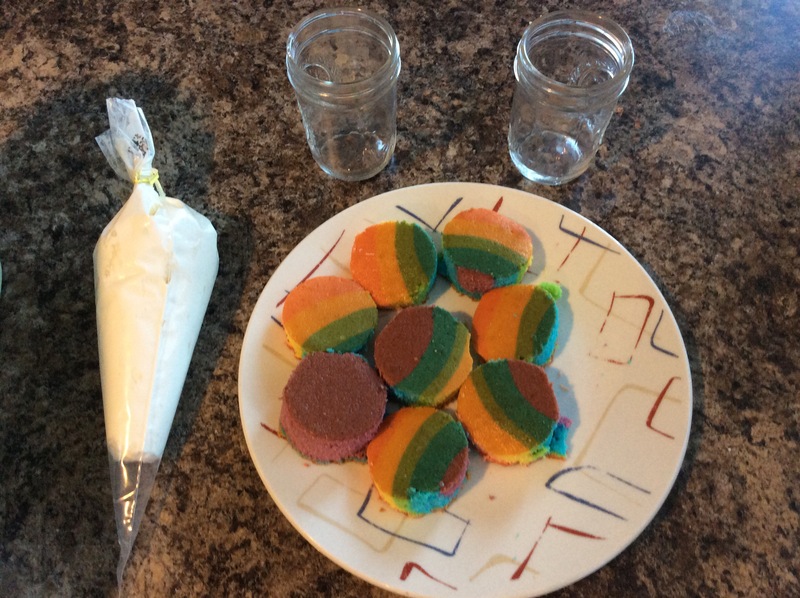 Recently, we found two pins on Pinterest that gave us two different methods for creating cupcakes in a jar. Walmart had these two cake mixes on clearance. I snatched them up with glee. 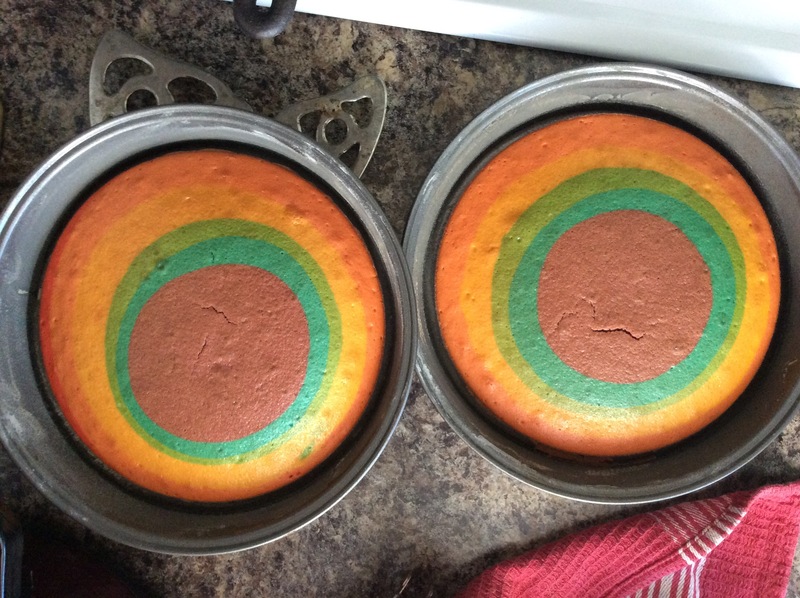 I made the Tie-Die Cake as instructed in the directions using two 9 inch pans. The Thin Mints batter we made and baked in 12 oz canning jars. 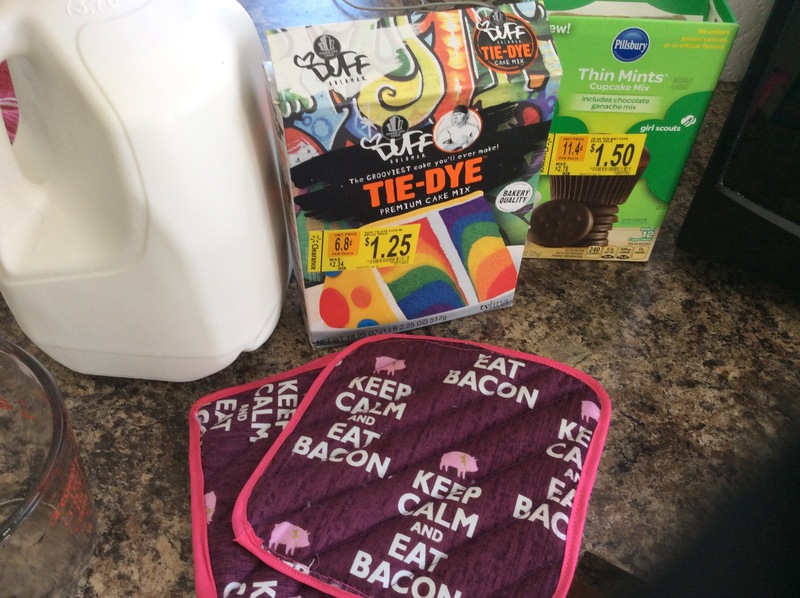 –Side note, Do you love my potholders? I made them from leftover fabric and quilting batting. Okay back on topic. 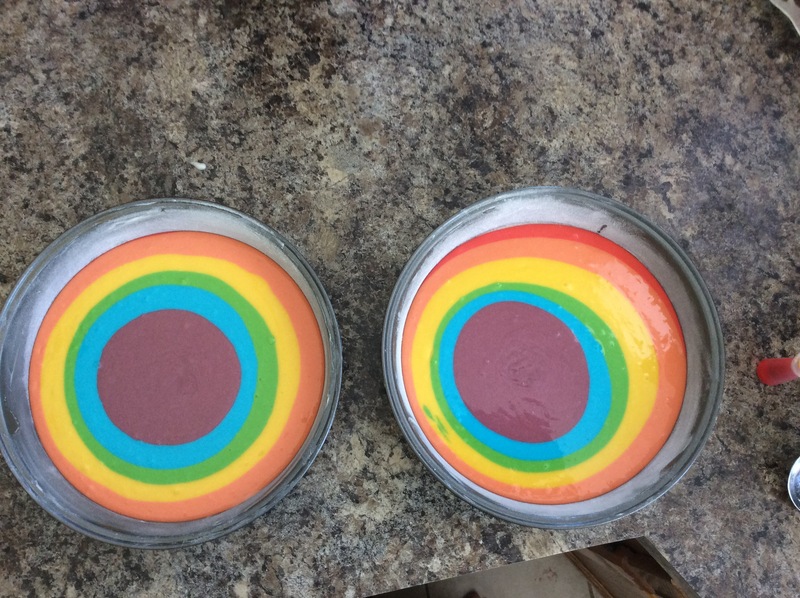 Here is the Tie-Die Batter Before and after. It makes six colors in total. When the cake was cooled, I used a round cookie cutter to make the layers. 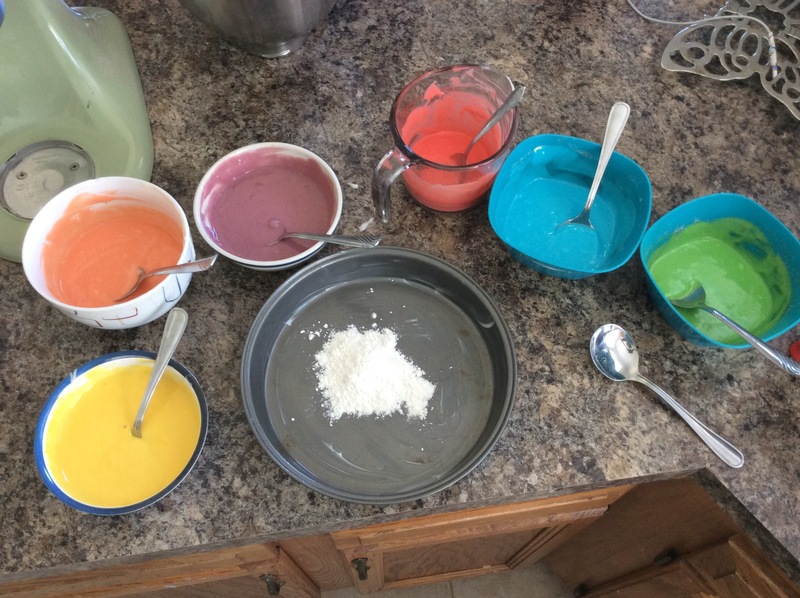 I then allowed the children to layer cake circles and frosting. I added fun cupcake liners as decorations. After adding the chocolate gnoch I sprinkled white chocolate shavings on top. Both of the cake batters are very good! 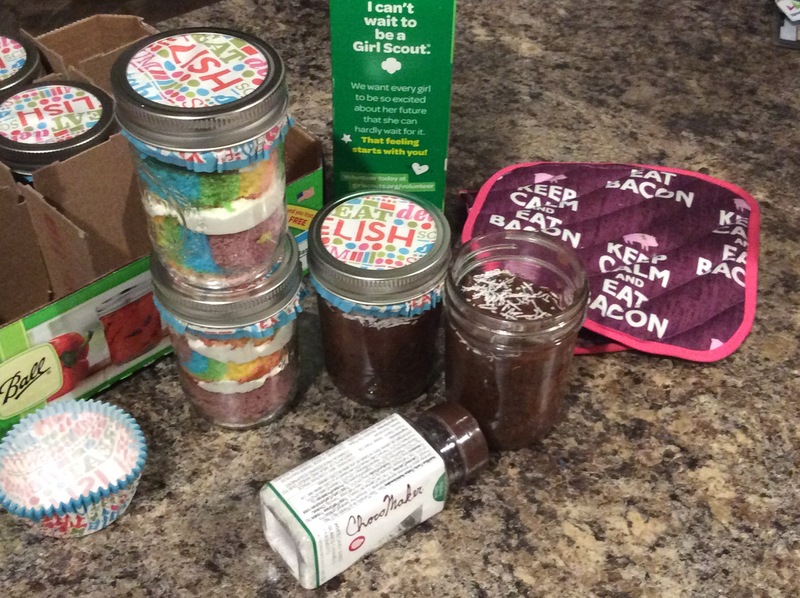 The thin mint cupcakes baked up lovely and surprisingly taste spot on to the cookies! Another great Pinterest find! These were a really big hit among my family and the teachers who received them. What gifts have you enjoyed making for your children’s teachers? Have you tried cupcakes in a jar?